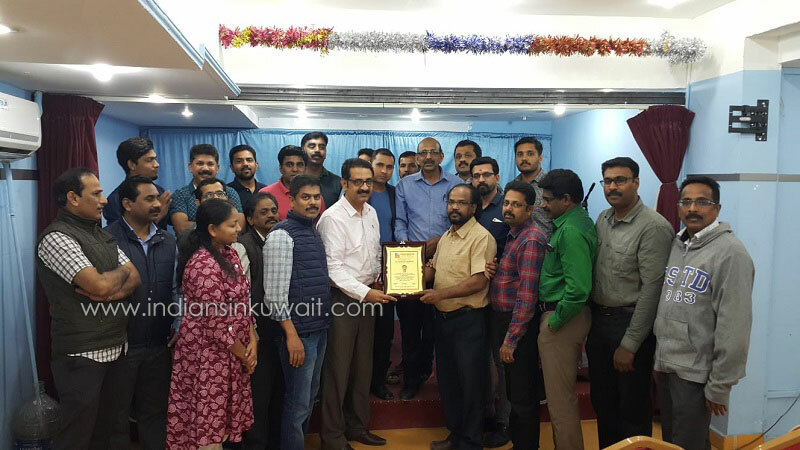 FOCUS (Forum of CADD Users) Kuwait gave a cordial farewell to Mr. Moncy K. Mathew, Former Focus Treasurer & Focus Riggai (Unit 12) member, who is leaving Kuwait. He was a very active member in the organization. The function was held in Foke Hall Abbasiya, which was presided by Focus President Mr. Roy Abraham. FOCUS President, Mr. Roy Abraham presented Mr. Moncy K. Mathew with a memento for his valuable service to the organization during his tenure. Mr. Abdu Salim (Joint Secretary), Mr. Simon Baby ( Vice president) ,Mr. Salim Raj, Mr. Retheesh Kumar, Mr. Joshy K.D, Mr. Sam Thomas, Mr. Pinto Thankachan made felicitation speech during the meeting. Mr. Santhosh C. George Reply to speech. Focus Salmiya area (Unit13) Joint Convener Mr. Antony welcomed the attendees and Focus Abbasiya (Unit1) Joint Convener Sanoop Kochunny rendered the vote of thanks.